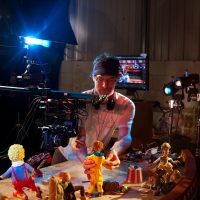 "... Mike Mort is determined to create something very special and distinct"
Animortal Studio is a 24,000 sq ft animation studio based in Bridgend, South Wales. 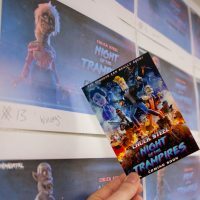 Our purpose built studio, is a one stop entity for stop motion animation production and VFX, with the ability to handle all creative and practical elements in-house. The Animortal Mission objective is to create original, high-end animated content for television, film and online. We also welcome enquiries for commercials and/or co-productions. Contact us for more information. 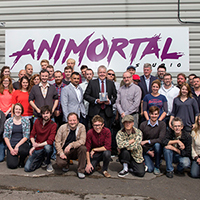 Find out a bit about the amazing facilities at Animortal Studio.